May 10. 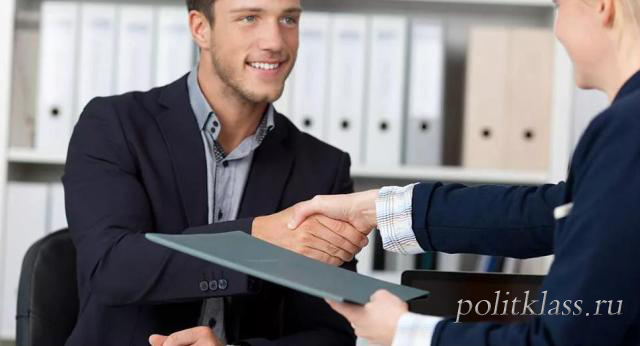 All employers who employ foreign nationals are obliged to notify the Ministry of internal Affairs of the conclusion of an employment or civil law contract with a foreigner, as well as the termination of such an agreement upon the dismissal of such employee. For the notification of the Ministry of interior employers are required to use a statutory form of notice. It is the form of this notice that has changed, as will be discussed in this article. On April 20, 2018 the order of the Ministry of internal Affairs of Russia No. 11 dated 10.01.2018 "on the forms and procedure of notification of the Ministry of internal Affairs of the Russian Federation or its territorial body on the employment of foreign citizens (stateless persons) in the territory of the Russian Federation"came into force. 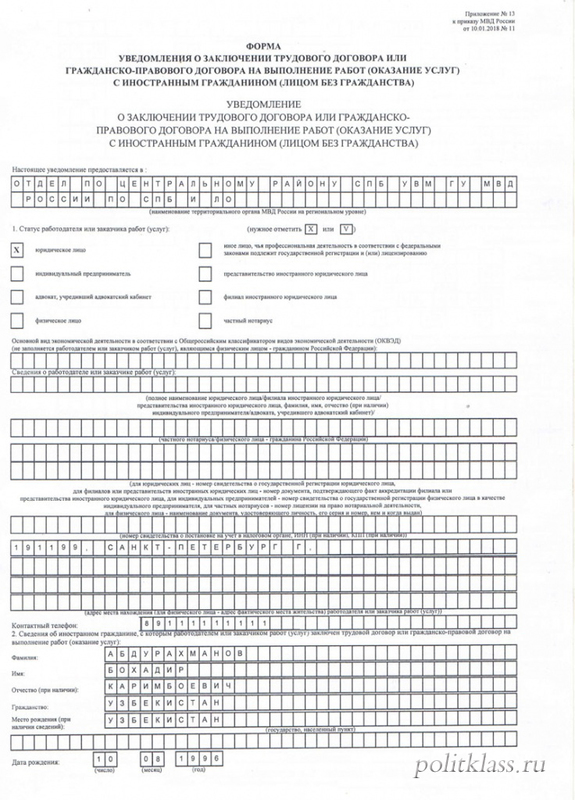 This document completely replaced the order of FMS of Russia No. 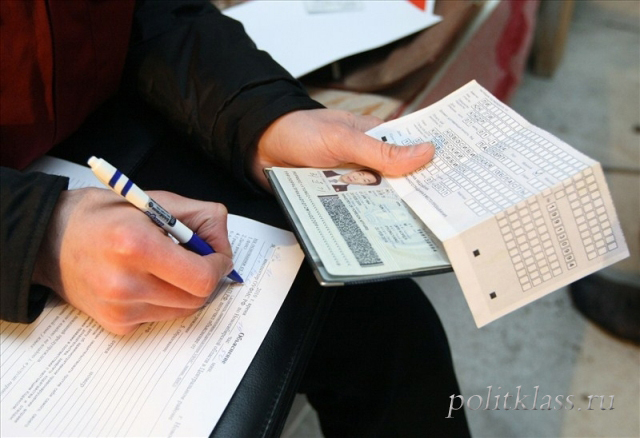 147 of 12.03.2015 "about forms and the order of the notification of Federal migration service about implementation by foreign citizens (stateless persons) of labor activity in the territory of the Russian Federation". In other words, the order of the Ministry of internal Affairs of Russia No. 11 of January 10, 2018, which entered into force, approved new forms of forms, including a notification form on the conclusion and termination of an employment contract with a foreign citizen. 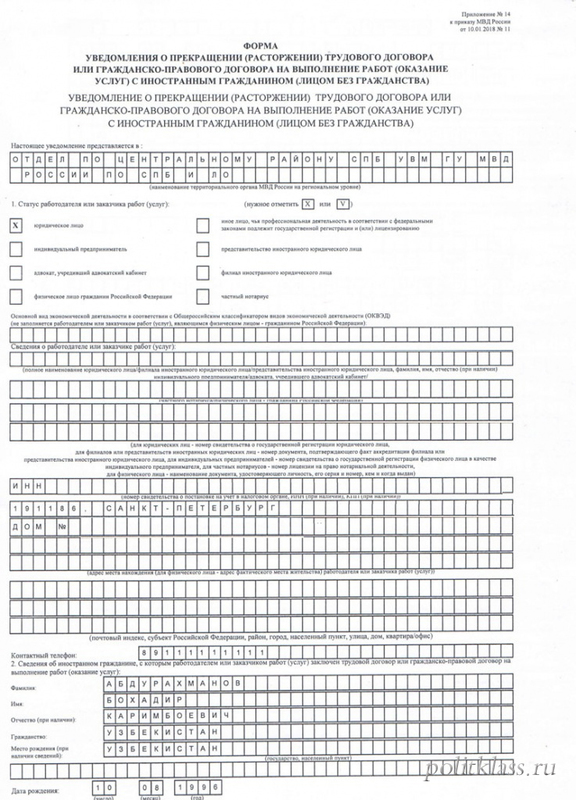 Old forms from April 20, 2018 became invalid. The new order not only approves new forms of forms, but also clarifies the procedure for filing notices of employment and dismissal of foreign citizens. Now 3 working days are also given for submission of notifications, but the countdown now goes not from the current date, but from the next day after the conclusion of an employment or civil contract with a foreign citizen or his dismissal. 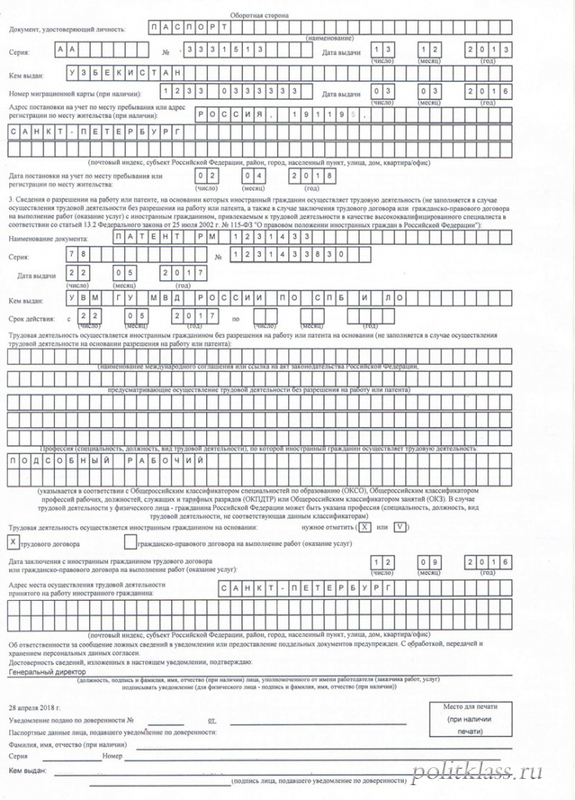 For example, the company entered into an employment contract with a foreign citizen on may 10, 2018, the deadline for filing a notice of employment of such employee in the Ministry of internal Affairs – may 15, 2018, as the countdown of the three-day period begins on may 11 (the day after the conclusion of the contract). Important! Starting from April 20, 2018, employers are obliged to use new forms of notification forms and follow the new procedure. 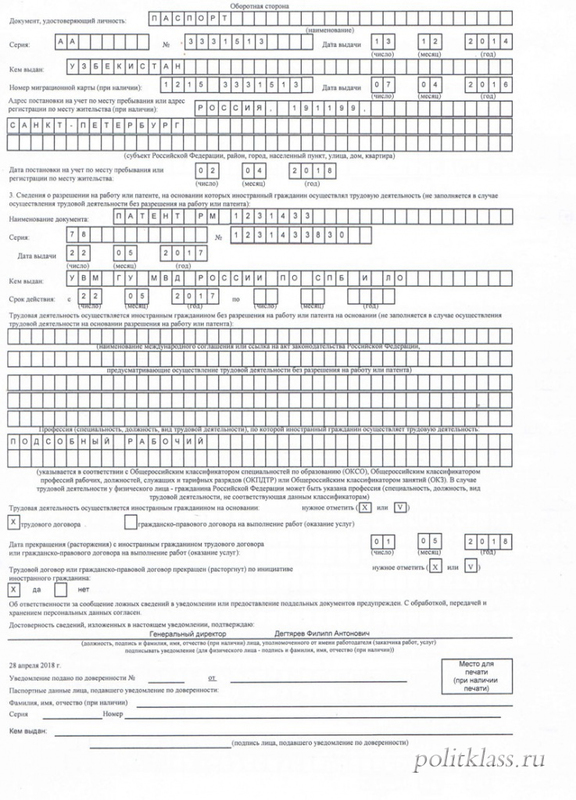 Dear employers, remember that the violation of the order of filing notifications on the hiring or dismissal of foreign citizens, in accordance with paragraph 3 of article 18.15 of the administrative code, shall entail an administrative penalty of a fine on citizens in the amount from two thousand to five thousand roubles; on officials - from thirty five thousand to fifty thousand rubles; on legal entities - from four hundred thousand to eight hundred thousand roubles or administrative suspension of activity for a period from fourteen to ninety days. Where to download new forms of migration notifications about hiring and dismissal from 2018 to fill in? You can download the new migration notification form 2018 on the employment of a foreign citizen from this link. You can download the new migration notice form 2018 about the dismissal of a foreign citizen from this link. If the article was useful, please like and/or share it with your friends on social networks. If you have any questions, ask them in the comments, our experts will be happy to help you absolutely free. Is it possible to issue a patent with an expired migratory account?